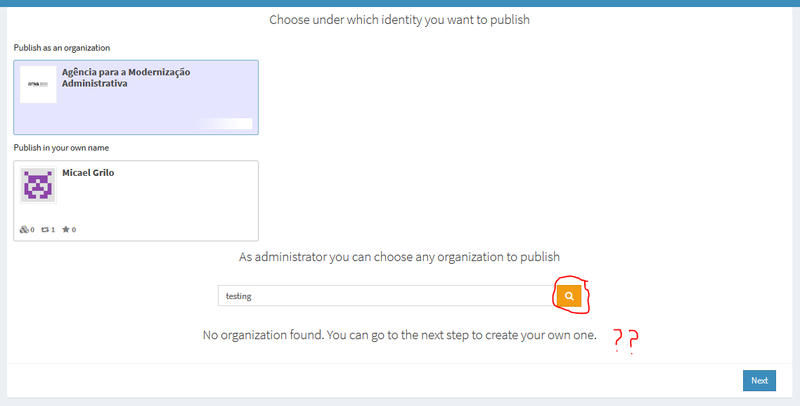 This is a PR with a improvement to the search organization button on administration. The search results appear as you type and clicking on the buttons reloads the page unnecessarily causing some confusion to the users, so I've removed this page reloading feature. 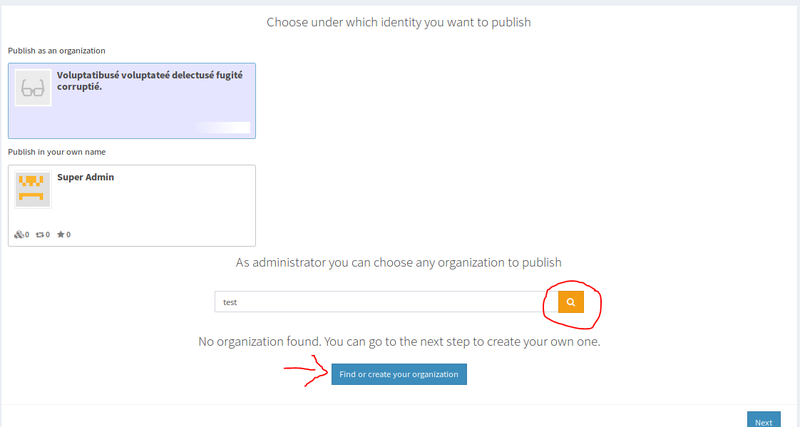 It adds also a 'Find or create your organization' button so the user can click on it when no organization results have been found. Thanks for the PR! This sounds great. You can add a screenshot (before/after) for cosmetical improvements. It is easier for quick reviews. Why did you replace the button tag?